The best way to get to know a community is by scheduling a tour. 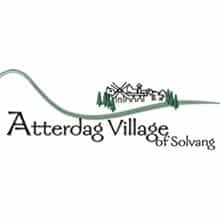 See the facilities, meet the staff and residents, and get a feel first hand what it's like to live at Atterdag Village of Solvang Assisted Living. Retirement. A time to relax. A time to explore. A time to enjoy. At Atterdag Village of Solvang, a carefree lifestyle awaits you as we help you make the most of this special time in your life. Imagine living in the beautiful Santa Ynez Valley with its wide open spaces, clean coastal air, and spectacular, mountain views. Atterdag Village is nestled in the heart of this natural treasure, yet only steps from downtown Solvang, a town rich with cultural attractions, fabulous restaurants, and charming retail shops. Atterdag Village offers a continuum of care fulfilled by a friendly staff dedicated to providing high quality care and services. Our mission is to offer our residents a quality of life that ensures physical, emotional, and spiritual well-being, with optimum independence in a safe and caring environment. So relax by the fireside with friends or a favorite book, enjoy an outing to a local museum or nature preserve, road-trip to nearby Santa Barbara, play a round of golf or a game of tennis, get your hands dirty in the garden, or picnic in the park nearby. We've got the rest covered.